The invention relates to the field of natural gas transmission pipeline equipment technology, in particular to a processing method of a double metal clad weld elbow. The utility model is characterized in that the carbon steel outer layer of the elbow and the inner layer of the nickel base steel plate are pressed into a single welded clad steel pipe and then pressed into an elbow structure, and the single weld seam is arranged on the center side of the inner arc. 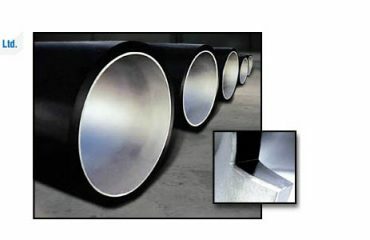 The clad plate steel pipe pressing process adopts the initial test pressing, the flattening process, the inner pressing, the end machining flat mouth, the heat treatment and the finishing treatment, thereby ensuring the corrosion resistance stability of the alloy cladding layer, and the welding work shift When the straight pipe is made and automatic welding is realized, the production efficiency is high. 9) Surface polishing treatment: The inner surface of the pipe is polished with a cloth grinding wheel, and the outer surface grinding wheel is polished. 2. The method for processing a bimetal clad type single weld elbow according to claim 1, wherein the carbon steel outer layer of the elbow and the inner layer of the nickel base steel plate are pressed into a single weld. The clad steel pipe is pressed into an elbow structure, and a single weld is placed on the center side of the inner arc. The present invention relates to the field of T gas transmission pipeline equipment, and more particularly to a method for processing a double metal clad type single weld elbow. Some natural gas fields developed in China contain a large amount of hydrogen sulfide. The pipeline from the well station to the natural gas purification plant is one of the most dangerous gathering pipelines. It is usually made of single-layer nickel-based materials. It has a single structure, is expensive, and has poor corrosion resistance. 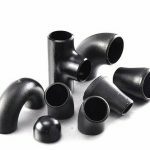 In the prior art, the pipe welding method is generally used to manufacture the pipe fittings, the production efficiency is low, the welding workload is large, and the quality of the nickel-based cladding layer is unstable. The product surfacing will cause the alloy material of the bonding layer to be diluted, the instability of the alloying element component will result in a decrease in corrosion resistance, and the product quality is unreliable. At the same time, the production efficiency is low and the manufacturing cost is high. 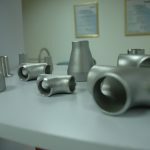 The object of the present invention is to provide a method for processing a double-metal clad single-weld elbow, which avoids the complexity of the prior art processing process and the low productivity. Thereby effectively solving the defects existing in the prior art. 9) Surface polishing treatment: the inner surface of the pipe member is polished by a cloth grinding wheel, and the surface grinding wheel is polished. 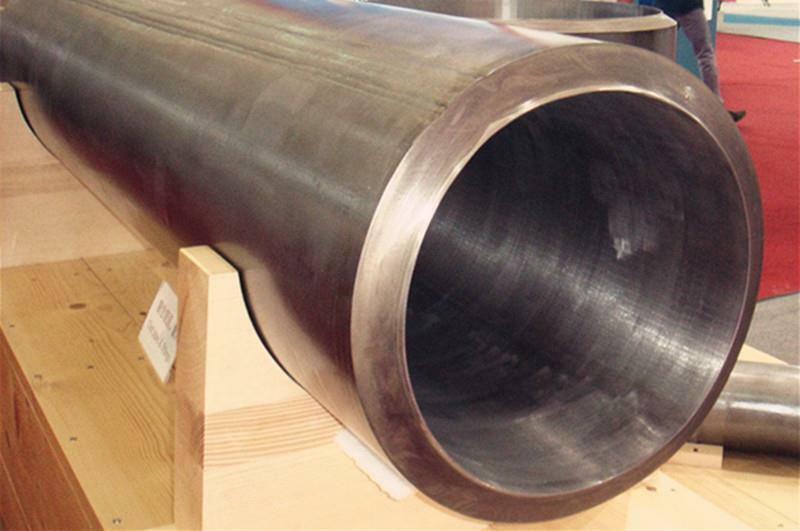 The carbon steel outer layer of the elbow and the inner layer of the nickel-based steel plate are pressed into a single-welded clad steel pipe and pressed into an elbow structure, and a single weld is disposed on the center side of the inner arc. The beneficial effects of the present invention are: the processing method of the bimetal clad type single weld elbow, which adopts a carbon steel outer layer and a nickel base steel plate inner layer clad structure and adopts a clad plate steel pipe pressing process. Through the initial test pressing, flattening process, no inner pressing, end machining flat, heat treatment and finishing treatment, the corrosion resistance stability of the alloy cladding layer is ensured, and the welding work is moved to the straight pipe and automatic Welding, high production efficiency. The present invention will be further described below in conjunction with the accompanying drawings and embodiments. 2 is a schematic left side view of FIG. 1 of the present invention. In the figure: 1. outer layer of carbon steel; 2. inner layer of nickel-based steel plate; 3. single weld. The principles and features of the present invention are described with reference to the accompanying drawings, which are intended to illustrate the invention and not to limit the scope of the invention. 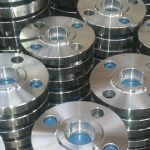 9) Surface polishing treatment: the inner surface of the pipe member is polished by a cloth grinding wheel, and the outer surface grinding wheel is polished. Further, the carbon steel outer layer 1 and the nickel base steel inner layer 2 of the elbow are pressed into a single-welded clad steel pipe and pressed into an elbow structure, and the single weld 3 is disposed on the inner arc center side. The above description is only the preferred embodiment of the present invention, and is not intended to limit the present invention. Any modifications, equivalent substitutions, improvements, etc., which are included in the spirit and principles of the present invention, should be included in the present invention. Within the scope of protection of the invention.